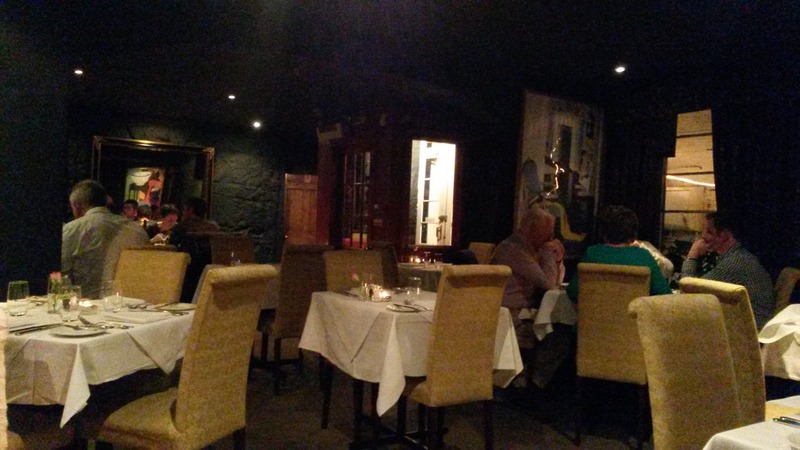 The Stockbridge Restaurant is one of the many eateries nestled away on St Stephens Street in Edinburgh. Not far from the new Scran & Scallie, across the street from Purslane, this family run restaurant certainly has competition. I should mention that St Stephens Street used to be home to one of my favourite restaurants in Edinburgh, The Saint. That space is now home to a great cocktail bar called The Last Word, but there remains a food shaped hole in my heart when it comes to eating out in Stockbridge. 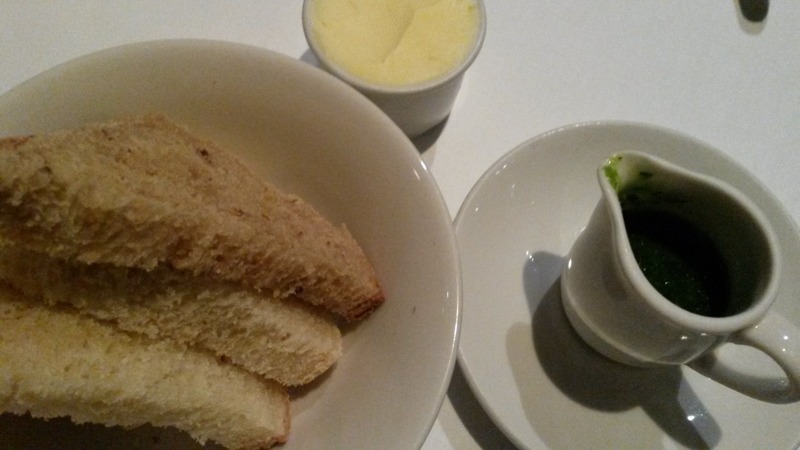 For this reason I was very intrigued to see what The Stockbridge Restaurant had to offer. Fairy lights guide you down the stone stairs and into a cute and cosy restaurant. The welcome from the waiting staff is very friendly and on a Thursday evening my dining partner Cakes (a nickname I will explain sometime) and I are told we can choose any table we fancy. The room is intimate, with perhaps 12 or so white covered table tops, substantial covered chairs and chunky, heavy silverware. Immediately I think we are in for a fine dining experience. 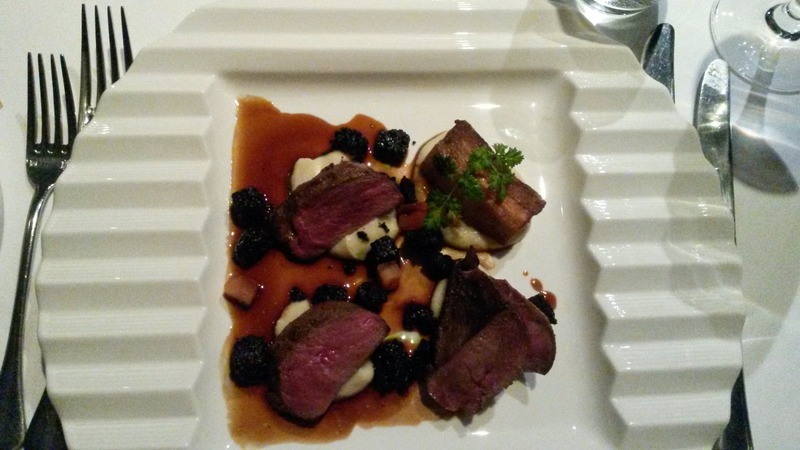 To start I enjoyed pigeon with pork belly, black pudding, celeriac puree and port wine sauce. 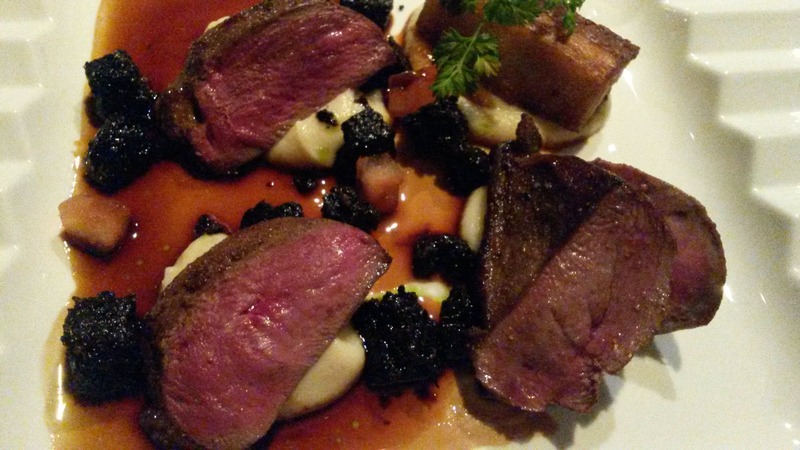 The pigeon was tender and the cubes of black pudding were moist and there was just enough. The little rectangle of crispy, perfectly pressed pork belly was a joy! Cakes tucked into the crab cakes which were packed full of crab meat and flavour. 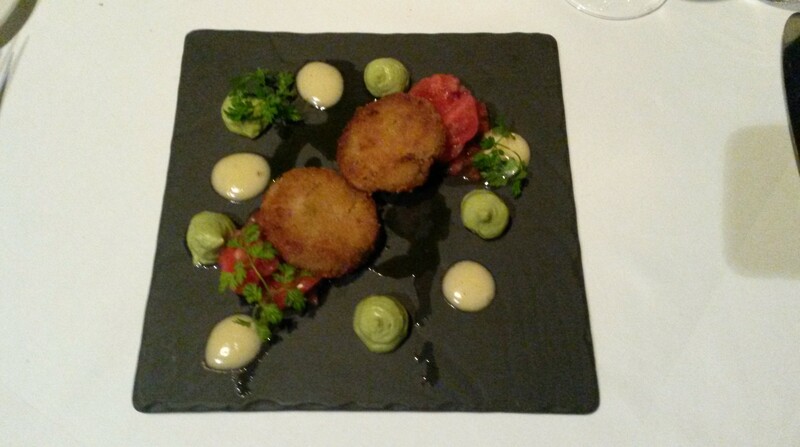 They came with a fresh, zingy tomato salsa and avocado puree. At this point we paused; topped up our wine glasses (we were drinking a Sauvignon Blanc from Chile) and both admitted to really looking forward to the main course. Coley was our unanimous choice. 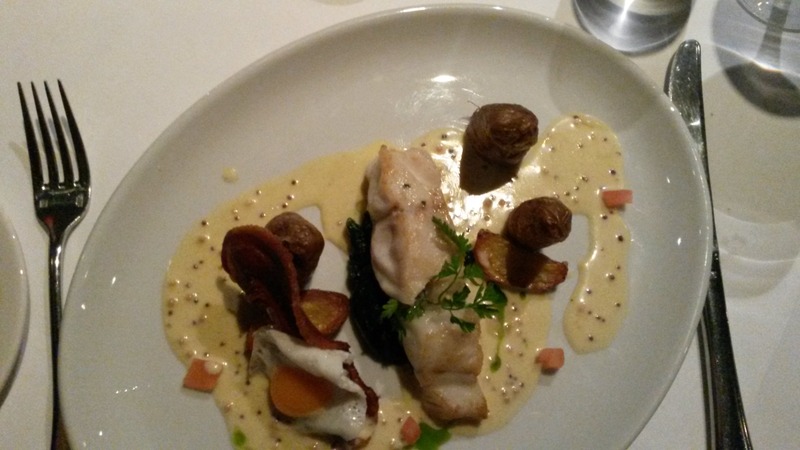 On the menu said it “served with pancetta, a fried quail egg, sautéed potatoes and a mustard sauce”. I was pleasantly surprised to find a whole crispy strip of bacon with the dish! 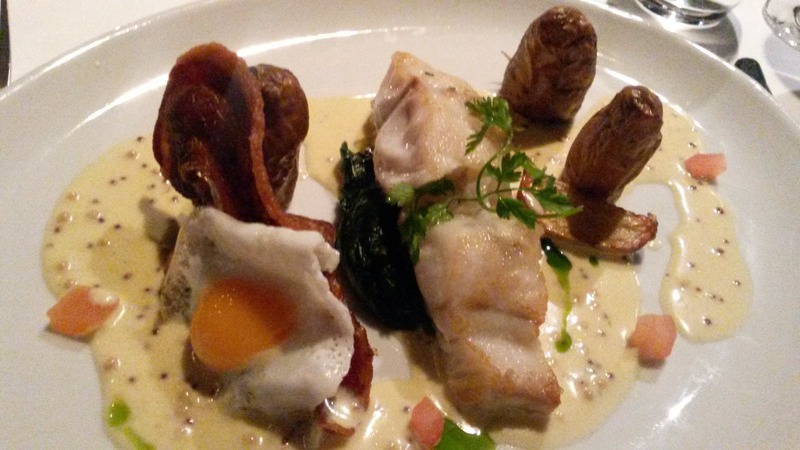 The fish was light and full of moisture, the fried egg had yummy, runny yolk and the mustard sauce went well with the saltiness of the dish. Following the main, a passionate fruit sorbet was served as a palette cleanser, and for me chocolate heaven followed. 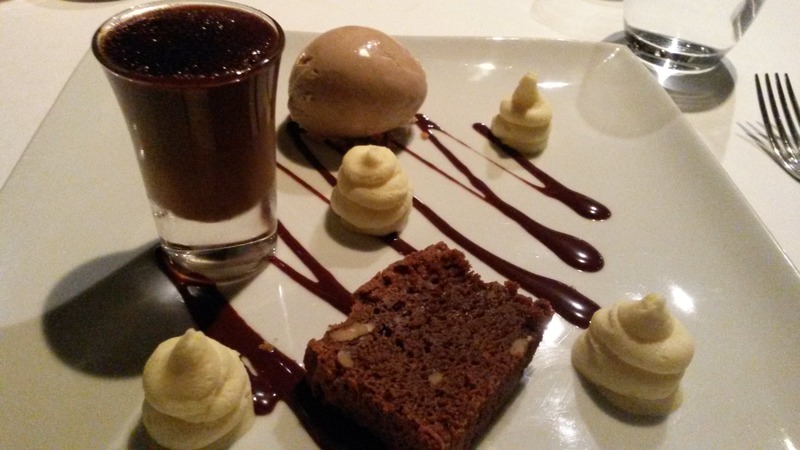 Chocolate crème brulee served with milk chocolate ice cream, a chocolate and walnut brownie and white chocolate mousse. I could take or leave the milk chocolate ice cream, the crème brulee was good. Put simply, it tasted like melted terry’s chocolate orange, I could have had 5 shot glasses of the stuff. 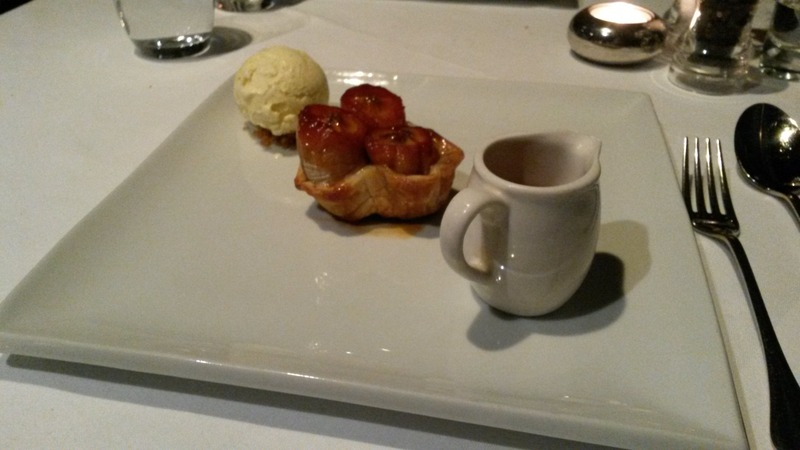 However we both decided that Cakes’ dessert was the star of the show – banana tarte tartin with a butterscotch sauce and vanilla ice cream. Not a dish I had tried before, and one I am desperate to have again. 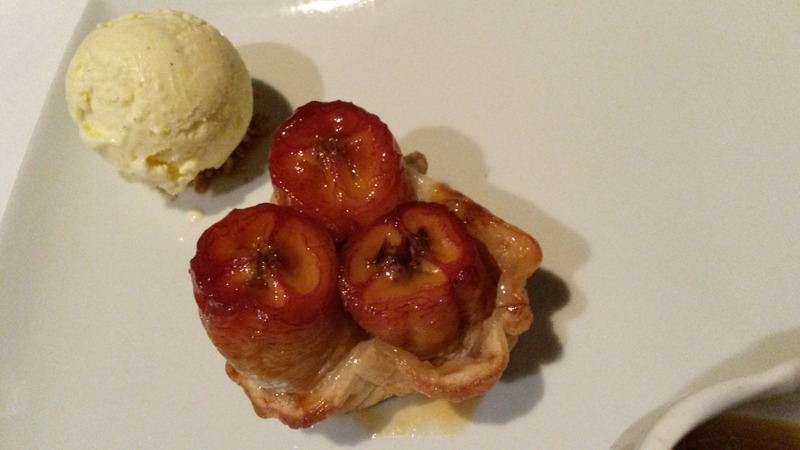 The pastry was so light and fluffy it melted in the mouth and the caramelised bananas were sweet and tangy. Oh and the sauce, the sauce was to die for! Needless to say we rolled home happy and full. The food alone was fantastic, and the attention to detail along with the little extra touches made the evening very special, but in no way pretentious. What’s more, the prices for such a delightful dining experience are incredible. The set menu, which includes all of the above minus the banana dessert, runs Sunday – Thursday and is only 2 courses for £19.95 or 3 courses for £23.95. 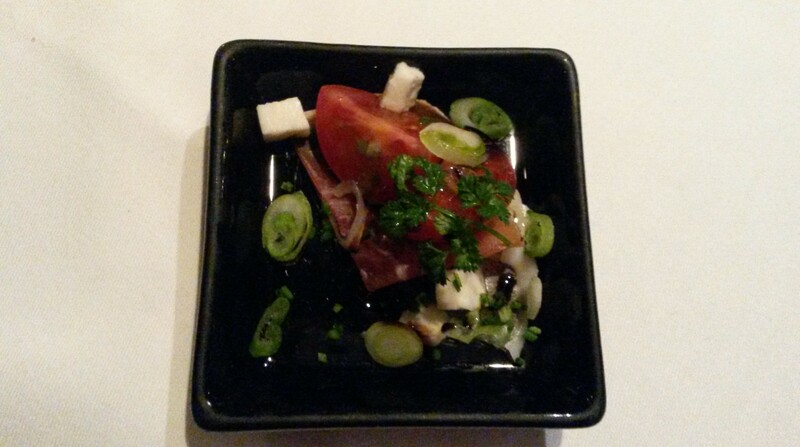 You can read the A La Carte menu here – I think it’s worth every penny. It makes me slightly sad to think I have lived in Edinburgh for almost five years and I am only just finding out about this hidden gem… but I am delighted to say the food shaped hole in my heart has officially been filled. Roll on another dinner out in Stockibridge! The Sunday BYOB has been a big hit with us in the past, don’t know if they still do that. Oh I wasn’t aware of that! Will investigate, thanks Kelly! Looks lovely, will definitely head down soon.